Cordless vacuums used to be a luxury item for home cleaning as there was no chance you can buy one for less than $100; I even tried some that cost more than $500. However, a variety of manufacturers are making handheld vacuums and this helps lower the price dramatically. And now you even can save further if you’re interested in the HoLife handheld vacuum. The product is available for around $50 on Amazon but when you use the promo code W8C3E2VF during checkout, you can grab one for just $39.99. This is really an unbelievable price for a vacuum. I tried some other handheld vacuums and I’m quite surprised with the quality of this HoLife. It weighs just over 3 lbs, so you can easily carry it around your house, or go to clean your car. 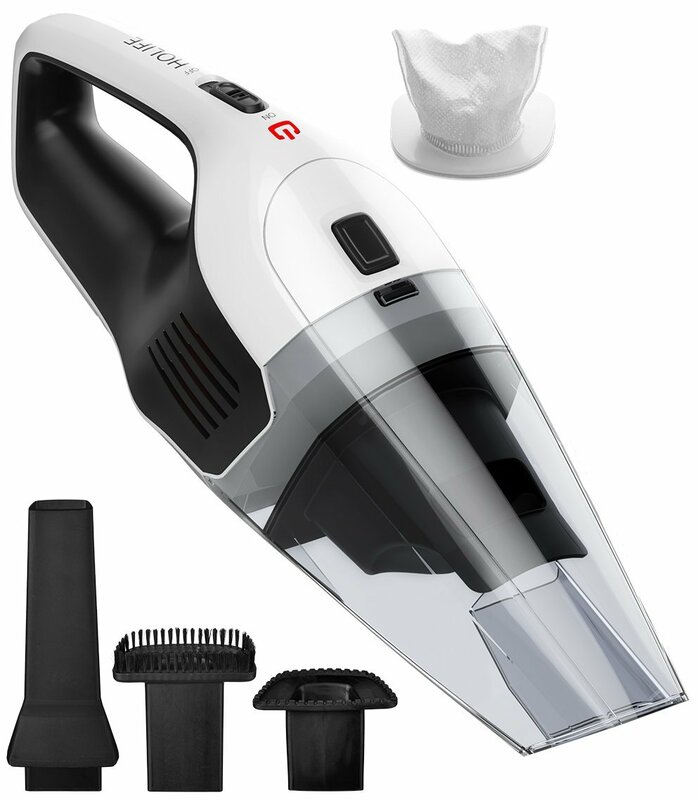 It features a 90W motor; Of course, this is not as powerful as some other vacuums, however, it’s totally acceptable at this price. Cleaning the dustbin is quite straightforward. The bin will come out when you press the button on top, then you can wash the filter and the bin easily. Out of the box, you will have a brush attachment, a crevice nozzle, and a liquid nozzle. Surprisingly, you can use the vacuum to clean small spills, many expensive vacuums don’t have this feature. The vacuum uses a 2200mAh Li-ion battery which could last up to 30 minutes. Recharging the battery is even easier as you will just need to place the vacuum on the charging dock, it would be fully charged in about 4 hours. Overall, this is a very good budget vacuum and I highly recommend it if you’re looking for a small cordless vacuum for your house. Make sure to use the promo code W8C3E2VF.